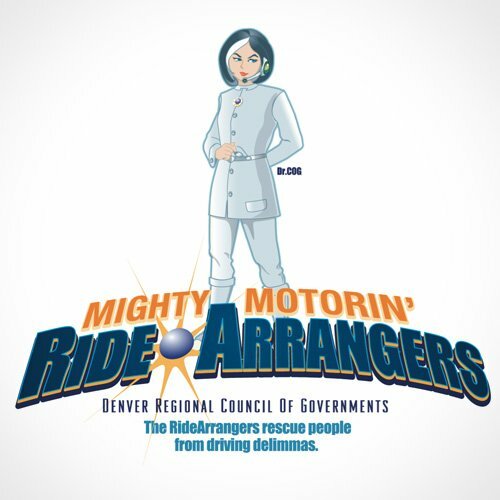 Denver Regional Council of Governments (DRCOG) is a nonprofit consortium of Denver area counties. 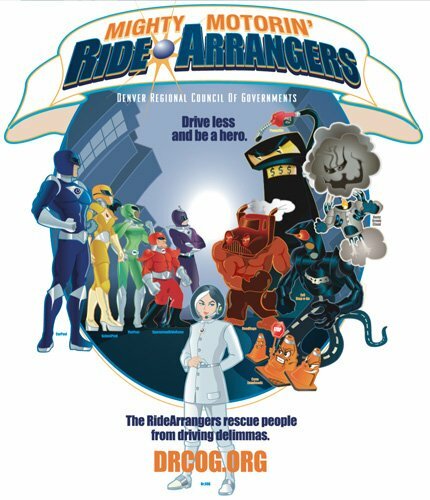 RideArrangers is a division that promotes alternative modes of transportation to reduce solo driving and its damaging affects on our community. They required a creative and complex brand strategy that would clarify the role of DRCOG as well as each of their commuter services: Carpool, Vanpool, Schoolpool, Telework and Gauranteed Ride Home. 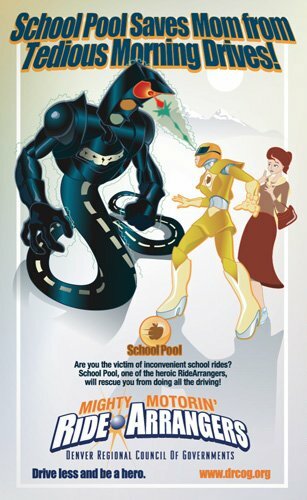 My team had an incredible challenge to create a campaign that was memorable and a message to clarify the distinction of the benefits of sharing transportation. We produced three unique campaigns for the initial pitch. The campaigns were adjusted and re-adjusted. But still both teams were not satisfied. Finally we had a breakthrough- why not create a campaign that has clarifies the distinction of good and evil and could empower the people using the service? 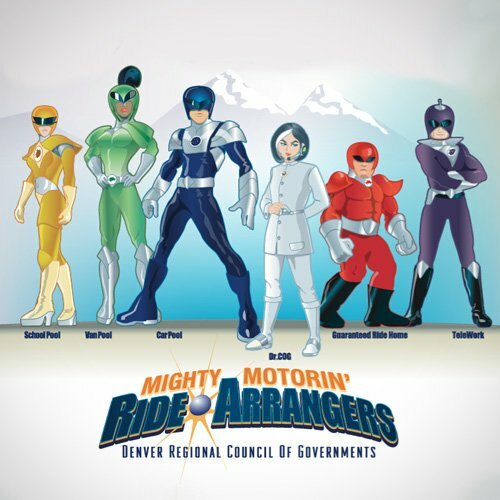 On deadline, in the eleventh hour, the The Ride Arrangers as superheroes was flushed out. 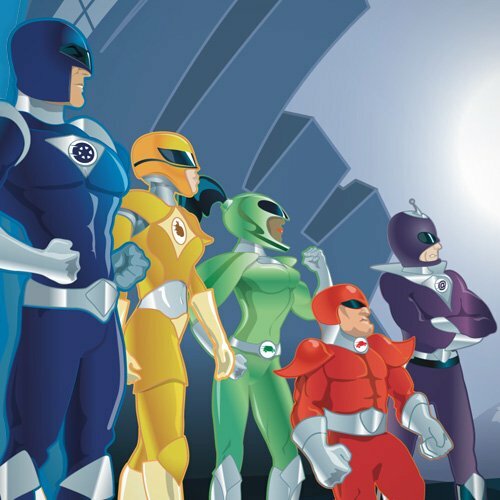 I had the chance to personify every character. 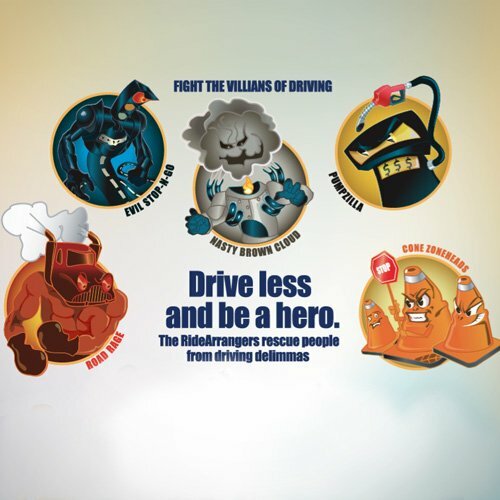 Create all the superheroes and their power, along with their adversaries. The entire program ultimately had a mastermind as well- Dr. Cog. The concept was a hit. 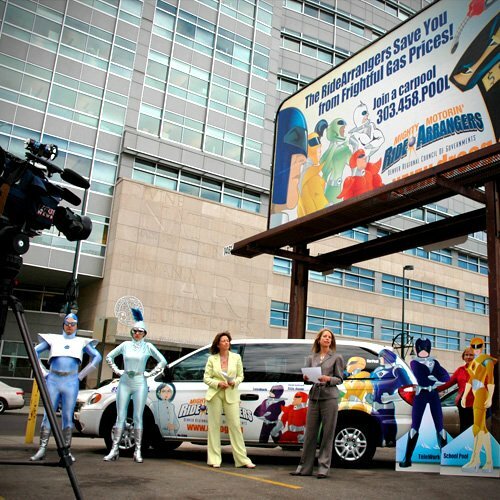 The campaign rolled out on outdoor advertising, workplace exposure and radio. 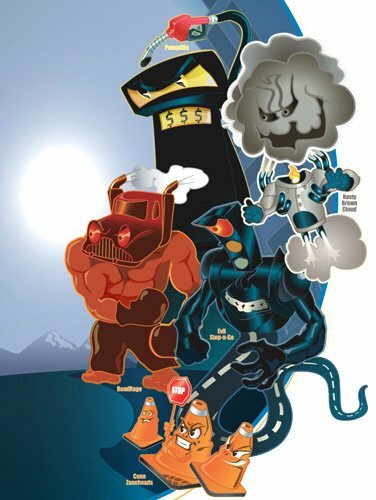 A new fleet was wrapped with the characters and the villians.